Discussion in 'Dovetail Live Article Discussion' started by TrainSim-James, Jan 22, 2019. I bought it last year when RSSLO Released the route. One of my fave TS routes. Anything new about the date of release? I don´t want to be impatient but I´m just interested in that route. It's coming soon unless something goes wrong. 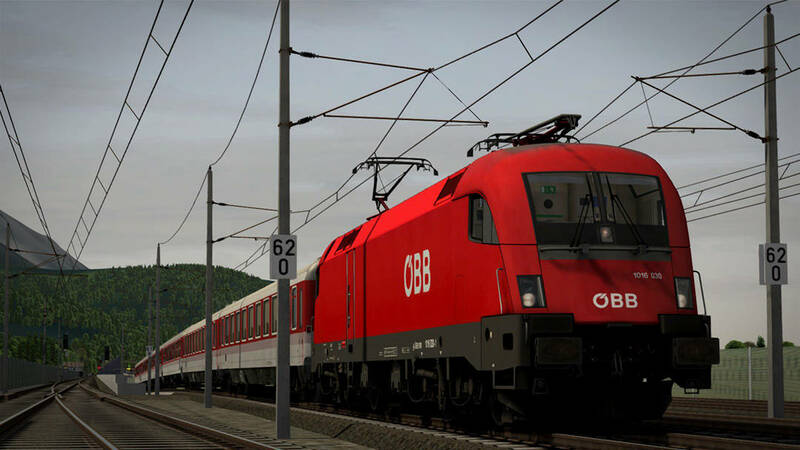 will the route be mergeable with the other routes around Innsbruck and Munich to build an only one route like what has been done with MITTENWALDBAHN, MUNICH - GARMISCH-PARTENKIRCHEN, MÜNCHEN-ROSENHEIM? It wont. That is the short answer. There are two versions of the Mittenwaldbahn and it might be mergable with the RSSLO version. As far as I remember also the Mittenwaldbahn route by DGT has been a revisit version of Mittenwaldbahn by RSSLO, or no?